QJB Series Submersible sewage mixer/submerged mixer/sludge mixer adopts excellent hydraulic design, wider type spectrum and optimized structure. 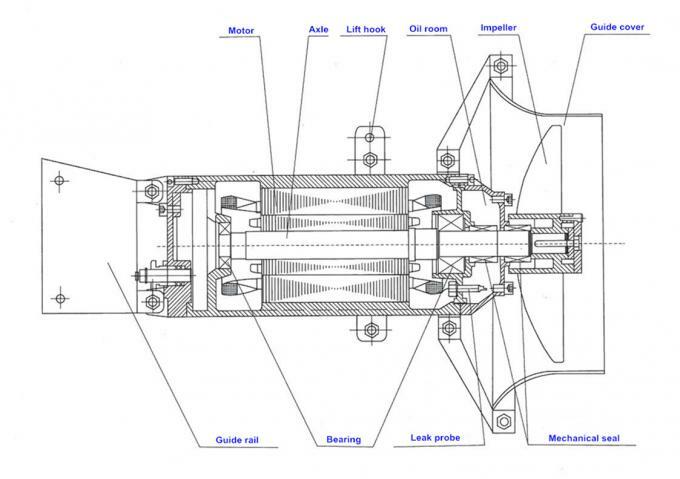 Pump casing is produced by special machine tool, which ensures concentricity among shaft bearing, shaft and pump case, and provides better reliability and maintainability. Apply to municipal water supply and drainage, water circulation of air conditioner, agricultural hydraulic engineering, such as irrigation, drain flooded fields ,industrial water supply system, firefighting system, water supply and drainage of heating system, transportation of clean water ect. 1, QJB type low speed of thrusters compact structure, small volume, light weight. Operation simple maintenance, installation convenient and long service life. 2, QJB type low speed of propeller blade with consecrated themselves function, can prevent sundry winding, jam. 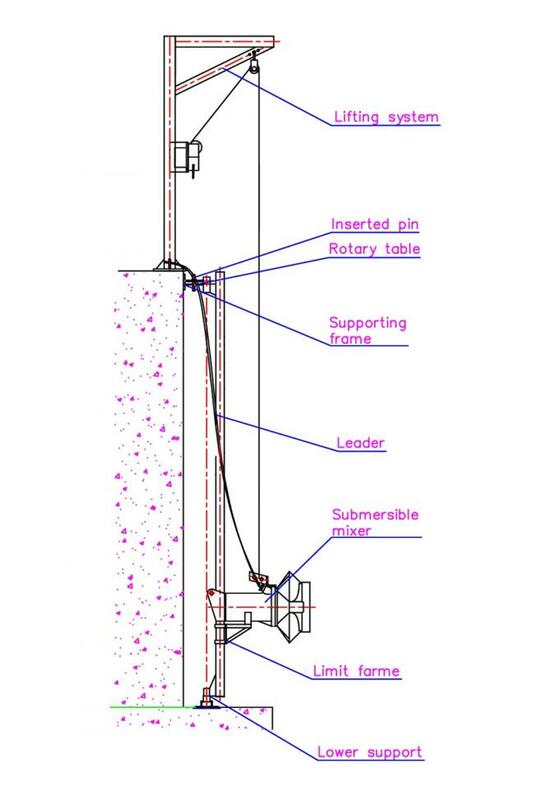 3, and aeration system can be used together to reduce energy consumption, oxygen filling improved obviously, effectively prevent precipitation. 4, QJB type low speed of thrusters motor winding for class F insulation, protection grade for IP68, choose a lubrication free maintenance, import bearings with oil leak detection room and motor winding overheating protection function, make the motor work more safety and reliable. 5, QJB type low mechanical seal of the friction thrusters pay material for corrosion resistance of tungsten carbide, all fasteners for stainless steel material. 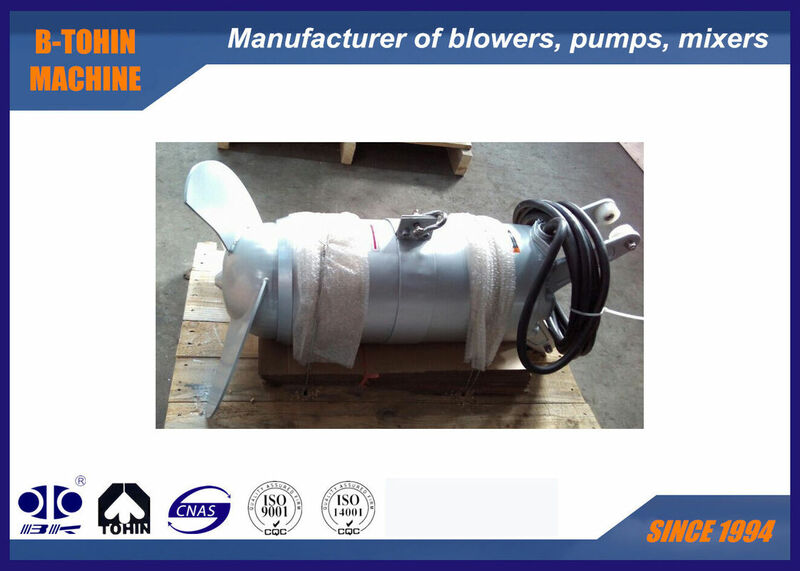 6, QJB type low speed thrusters under specified conditions, first failure of average running time before not less than 10000 hours, the machine service life is not less than 15 years.